Flowers and buds of what we think is Coastal Plain Lettuce, Lactuca graminifolia. 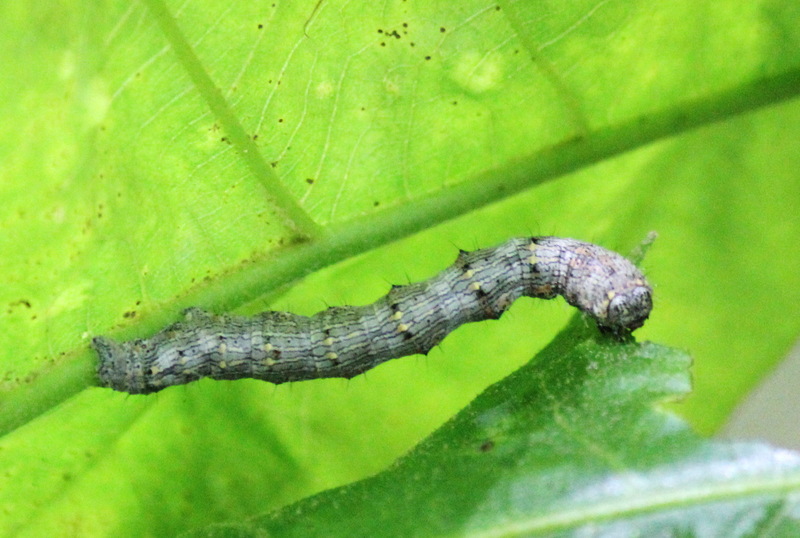 Stem and leaves – note narrow lobes and stiff hairs on underside of midrib. Most leaves are in a basal rosette. 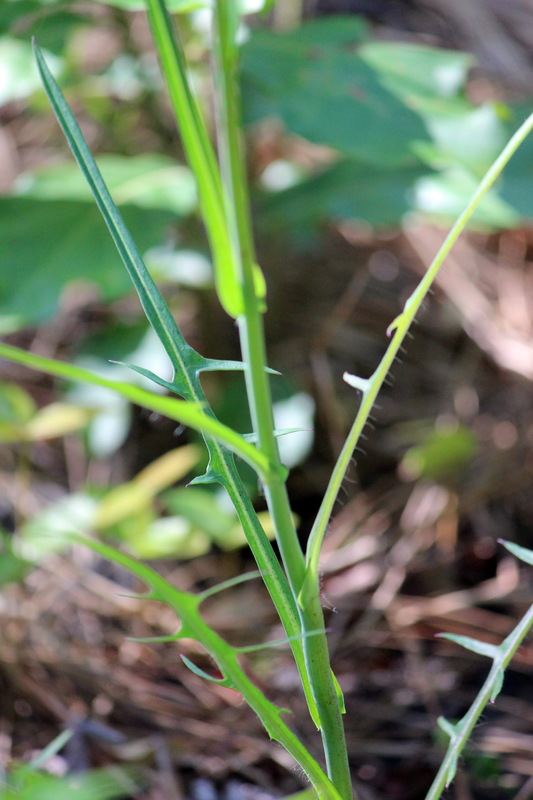 Here’s another native plant that is likely pulled, poisoned, or mowed in the name of good garden hygiene – insert ad for ‘weed killer’ here…! 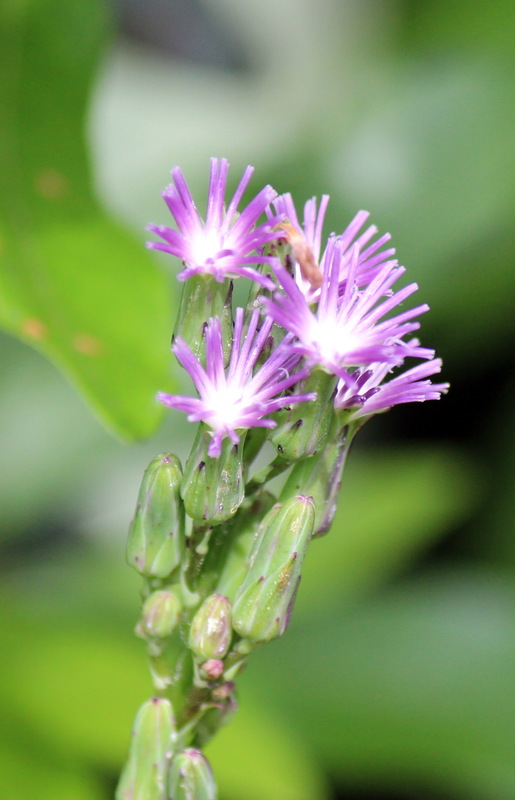 Coastal Plain Lettuce, Lactuca graminifolia, features small (~1.5 cm), pale blue/purple blooms (think tiny Chicory), milky sap (hence the genus name,) and narrow lobed mostly basal leaves that have a triangular/v-shaped cross-section with stiff hairs on the underside. Anticipating lunch delivery. 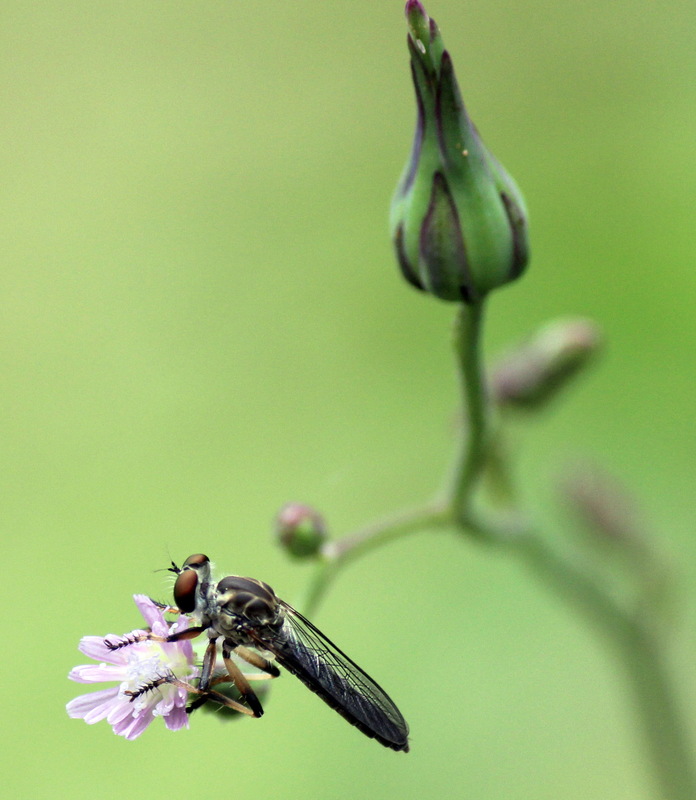 A species of Robber Fly, Asilidae, on Lactuca flower. Buds of Coastal Plain Lettuce. 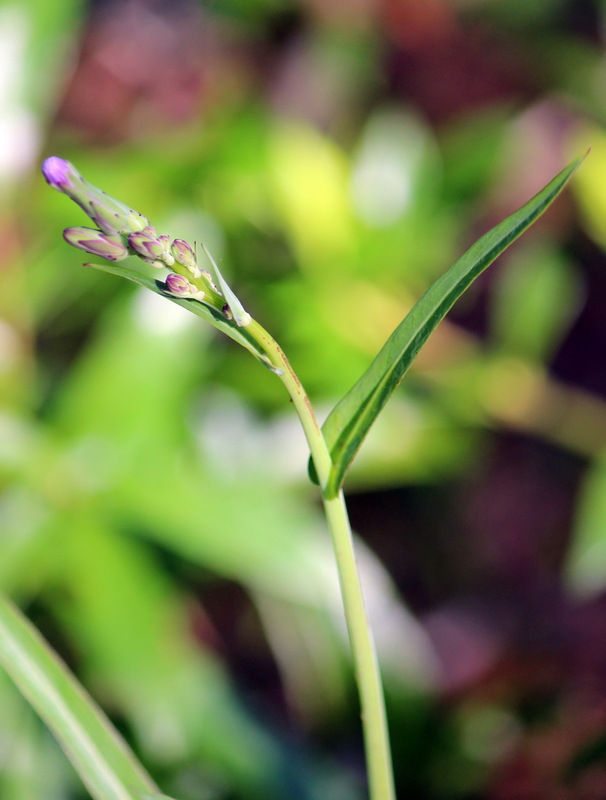 In our yard, these plants vary from 18″ to 3′ in height. Like so many other ‘weeds,’ native, and otherwise, Coastal Plain Lettuce is edible, with some preparation. The small flowers attract lots of pollinating insects , although the insectivorous Robber Fly in the lower left photo was probably just waiting for it’s next meal (dragonfly?) to approach. According to this source, Robber Flies are opportunistic predators, finding a place to perch and look out for prey, which they kill in flight with a toxic saliva injection! The fruits of Lactuca are nutlets with white tufts – similar in appearance to those of Cat’s Ear, Hypochaeris radicata, False Dandelion, Pyrrhopappus carolinianus, and Dandelion, Taraxacum officinale, among others. A closer look at these species may be next week’s task! now showing in a yard near you? Virginia Sweetspire, Itea virginica. Some call this Virginia Willow, or Tassel-white, for obvious reasons. 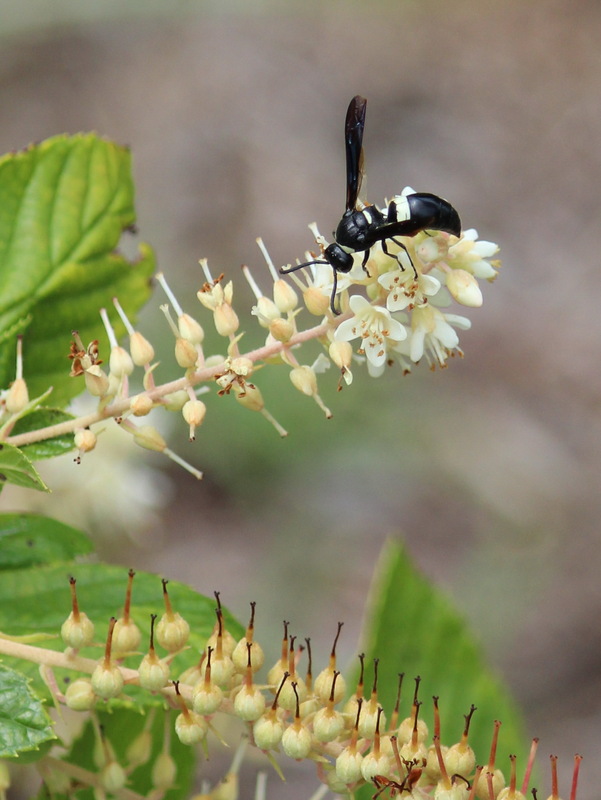 And later this summer, …Sweet Pepperbush, or Summersweet, Clethra alnifolia, with 4-toothed Mason Wasp, Monobia quadridens. Virginia Sweetspire, Itea virginica, nearing the end of its bloom, is a species found in woody wetlands and pocosin areas that has become a popular garden plant.In John Kunkel Small’s 1933 Manual of the Southeastern Flora, he writes …”This shrub often grows intermixed with other shrubs which produce an abundance of racemes of white or pale-pink flowers.” My guess is that this means lots of Vaccinium, Lyonia, and Cyrilla spp., all of which are commonly found in wet(ish) sandy acidic soils. 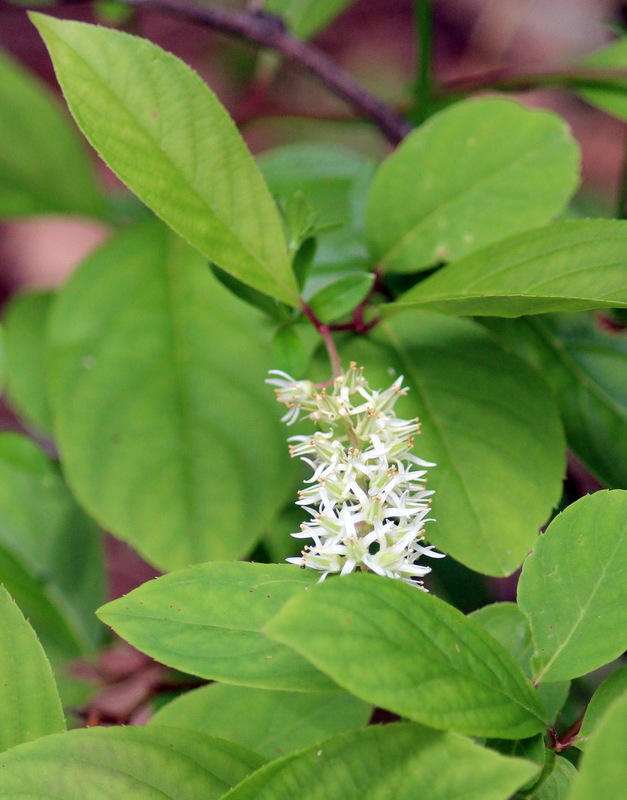 Virginia Sweetspire VAGUELY resembles Sweet Pepperbush, Clethra alnifolia, another native woody wetland plant available for purchase, although Sweet Pepperbush will not be in bloom until close to the end of summer. Clasping Venus’ Looking Glass, Triodanis perfoliata, is a common annual with a broad native range. 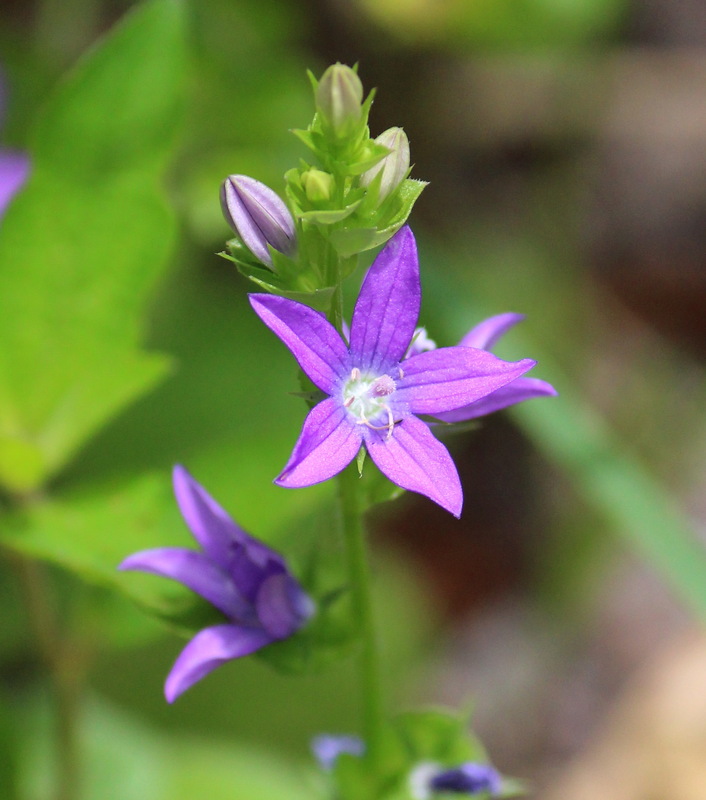 This diminutive plant is a relative of the much showier Tall Bellflower, Campanula americana. 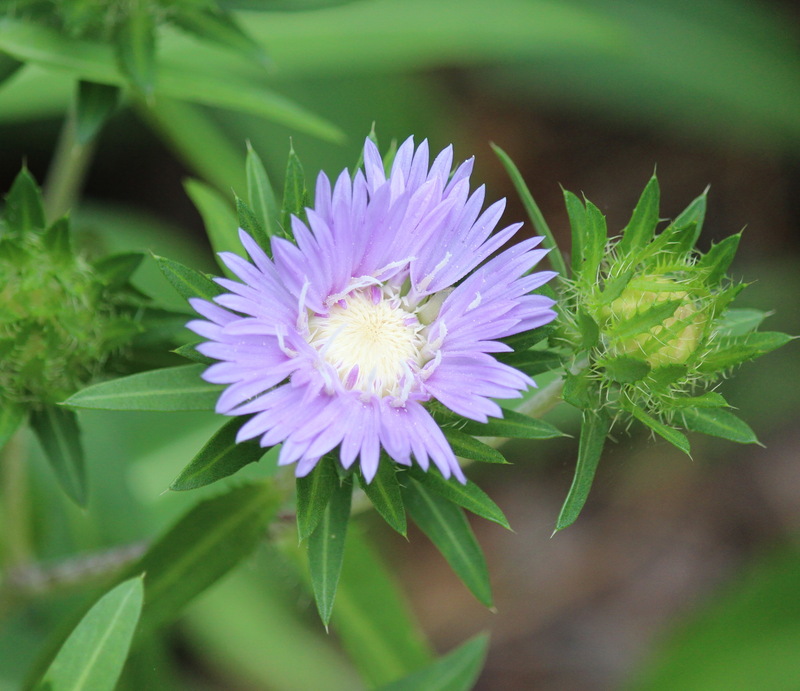 Stokes Aster, Stokesia laevis. Blue bee magnet. Caterpillar of the Fir Tussock Moth. The antenna-like setae (bristles) are referred to as ‘hair pencils.’ That’s funny! Thank you BugGuide for identification. The end of May comes with no shortage of insects. 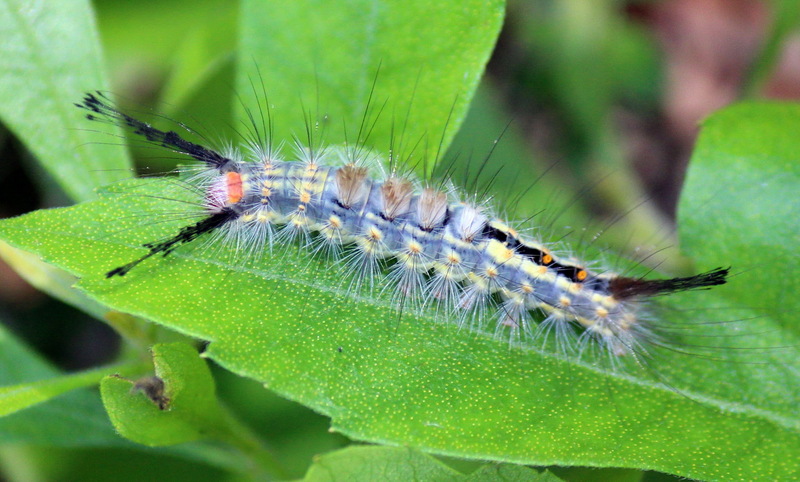 While doing some yardwork, this caterpillar of the Fir Tussock Moth, Orgyia detrita, spent some time on my clothing. 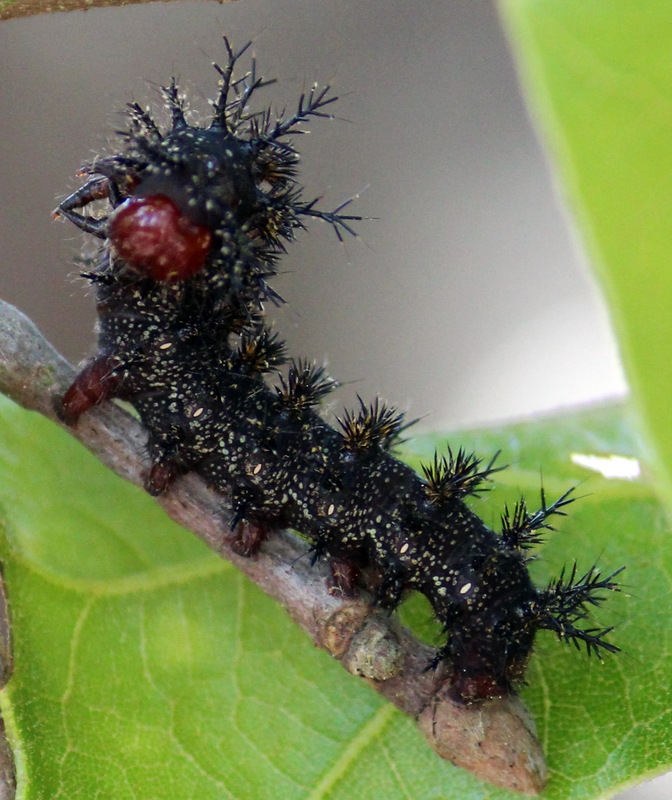 The hairs of these caterpillars can cause dermatitis in some people. (so I gently removed it with a twig.) It’s common name is odd, since the host plants of this species are Oaks, Quercus, and Bald Cypress, Taxodium distichum. Ana the tropical depression visited over the weekend, bringing moderate winds and about 6 inches of rain in pounding bands. In her aftermath, we knew we’d see all sorts of interesting phenomena. 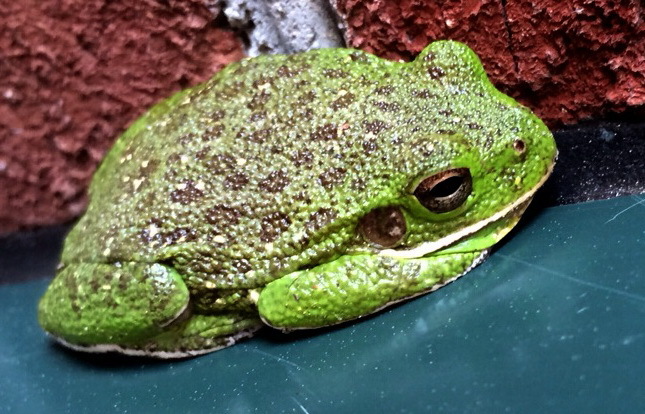 We hear, but generally do not see, plenty of frogs, so it was a nice surprise to find not one, but two Barking Tree Frogs, Hyla gratiosa, tucked into a building crevice not far from the house. This frog was just a few inches away. Comfort in numbers! This is a relatively common species in southeastern NC, but is fast becoming rare in other parts of its usual SE coastal plain range. 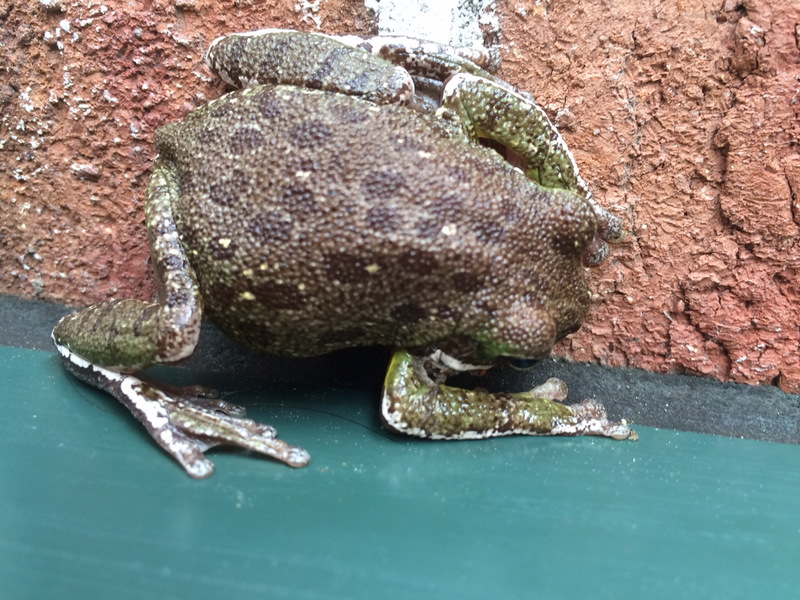 It’s the largest native tree frog in NC – these individuals are about 2 inches long. 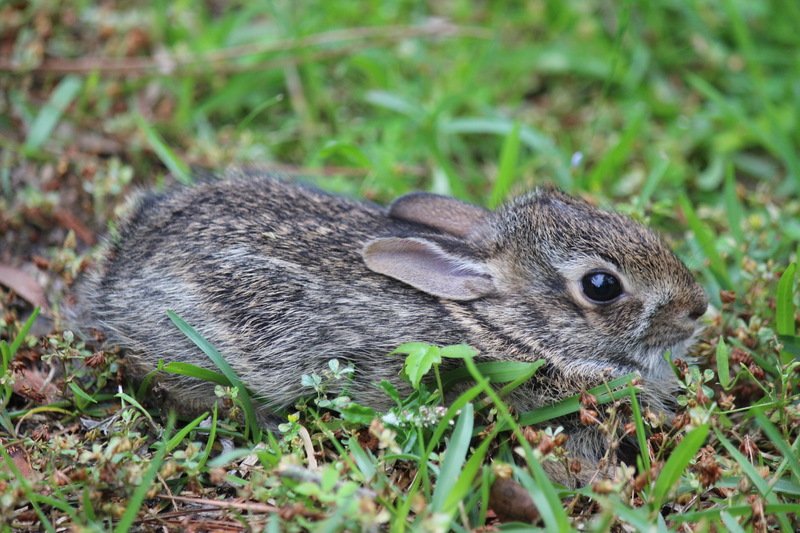 As their common name suggests, they are arboreal, but they are also burrowers, and are most often found in pine savannas, lowland woods, and swamps. 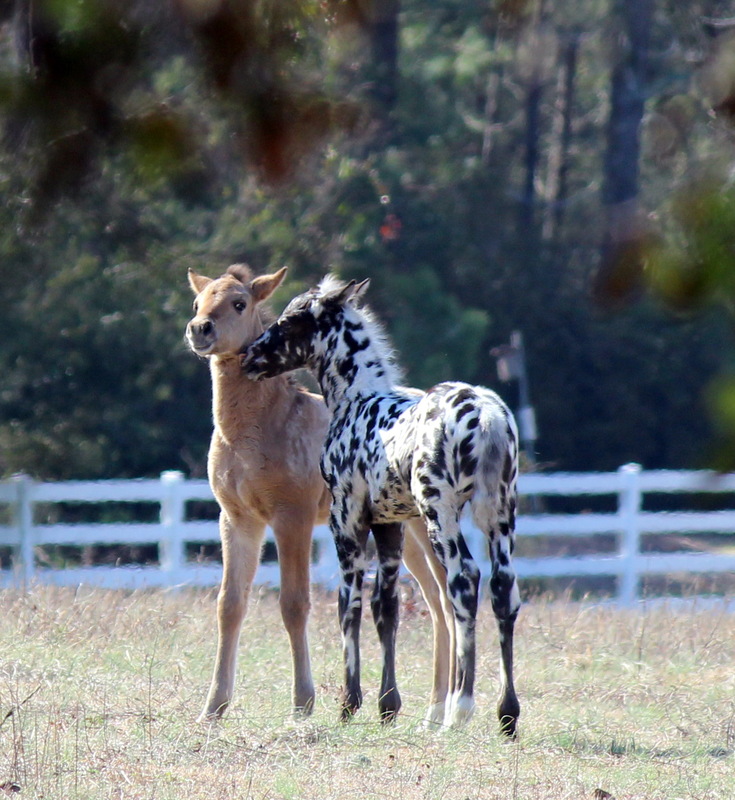 (source, source) Why these two were attached to a building is a mystery that perhaps had something to do with wild, windy weather – there is a small pond close by, with some forest cover – a perfect breeding area. 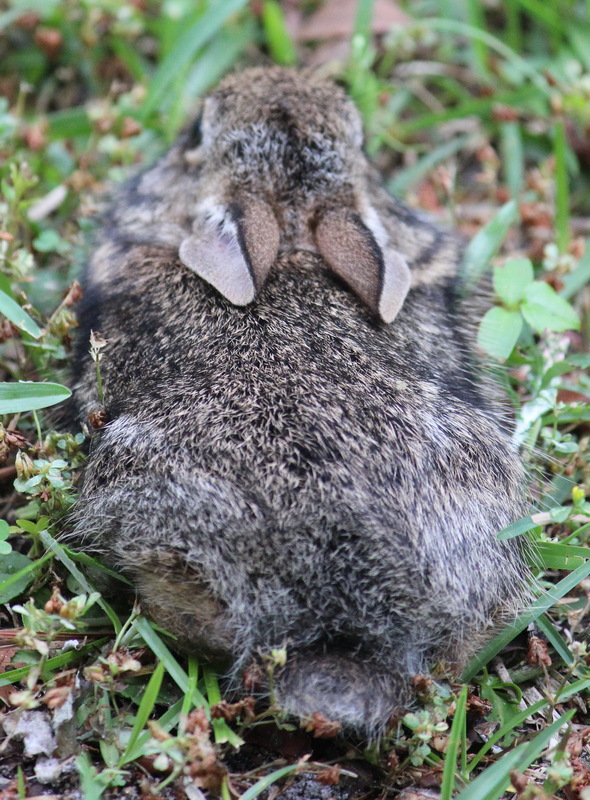 A juvenile Eastern Cottontail, Sylvilagus floridanus, had flattened itself against the yard while I approached in an attempt to take photos of Brown-headed Nuthatches in an adjacent tree. It’s cover was SO convincingly ‘wet bark’-like that I nearly stepped on it. This individual is about 5-6 inches long, so likely just a few weeks old. and the fire ends at the Hypericum! Any time there’s an opportunity to roam around Carolina Beach State Park, we take it. 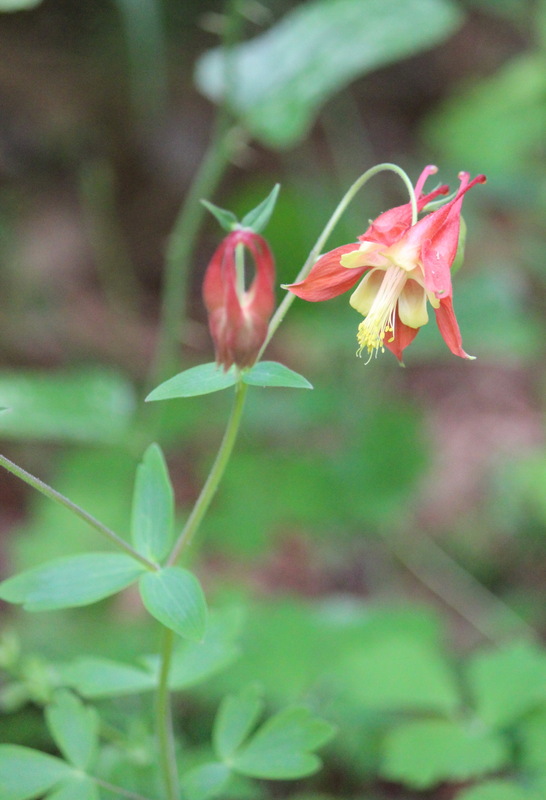 Although not that far away from our place, the park’s plant communities are vastly different from what we have in our neighborhood, and you are guaranteed to see something interesting. 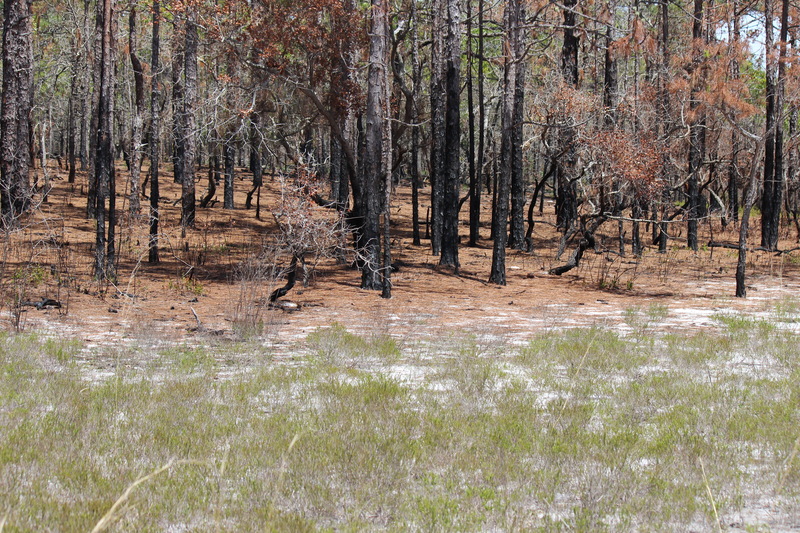 Parts of the park have been burned recently to encourage the return of more Longleaf Pine / Pinus palustris, which makes for some cool photo opportunities. 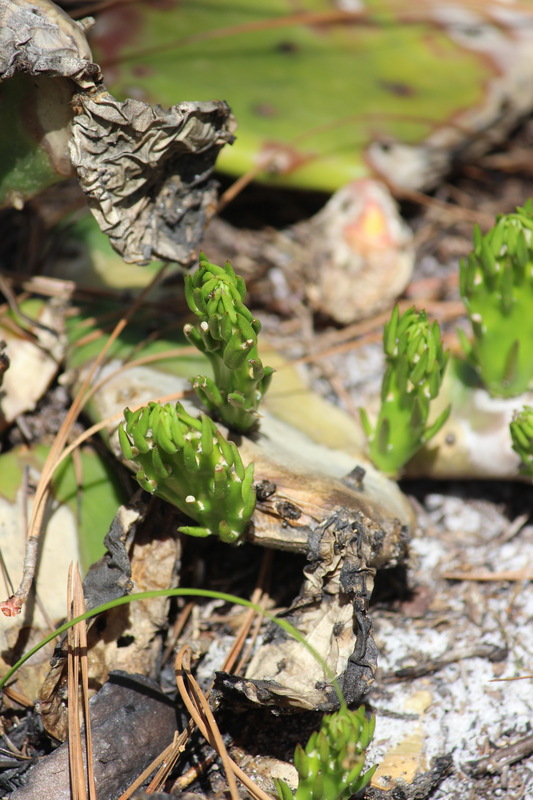 New pads of Prickly Pear sprouting from charred remnants. 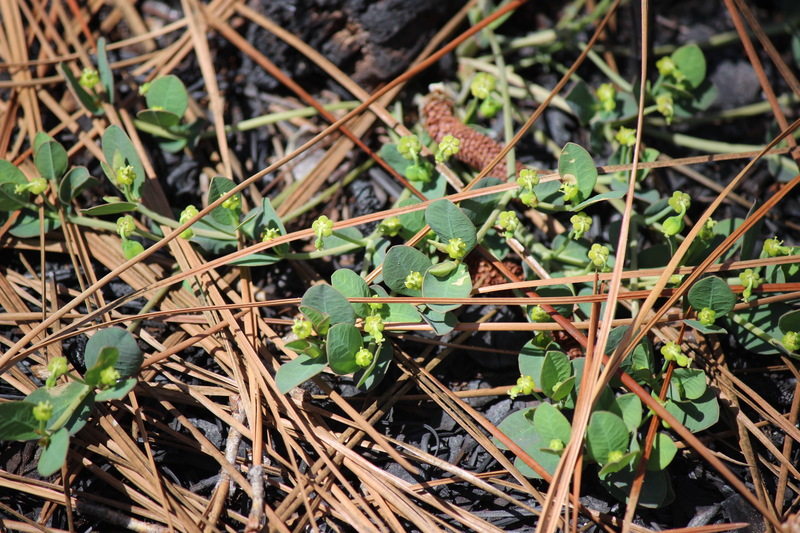 Carolina Ipecac blooming in charred soil. Not pine warblers. And not at Carolina Beach State Park. 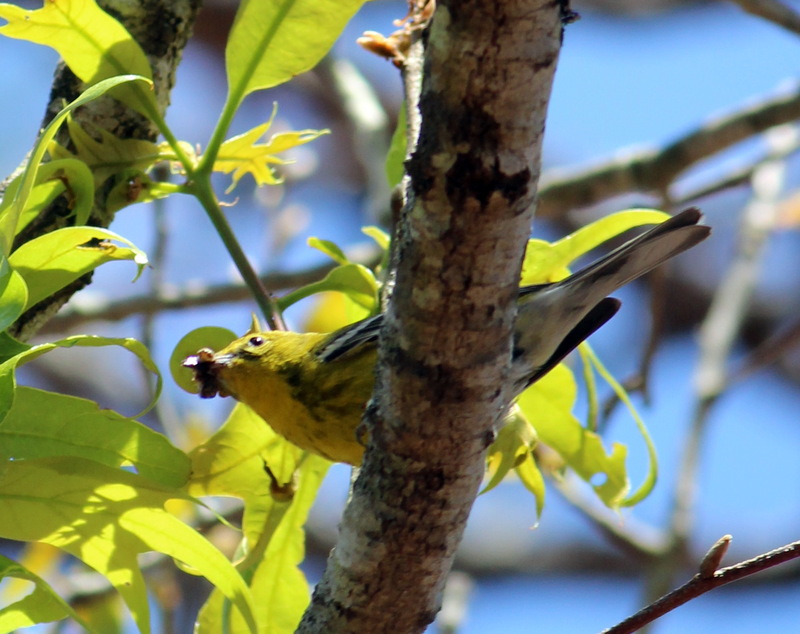 Pine Warbler, with unknown snack. 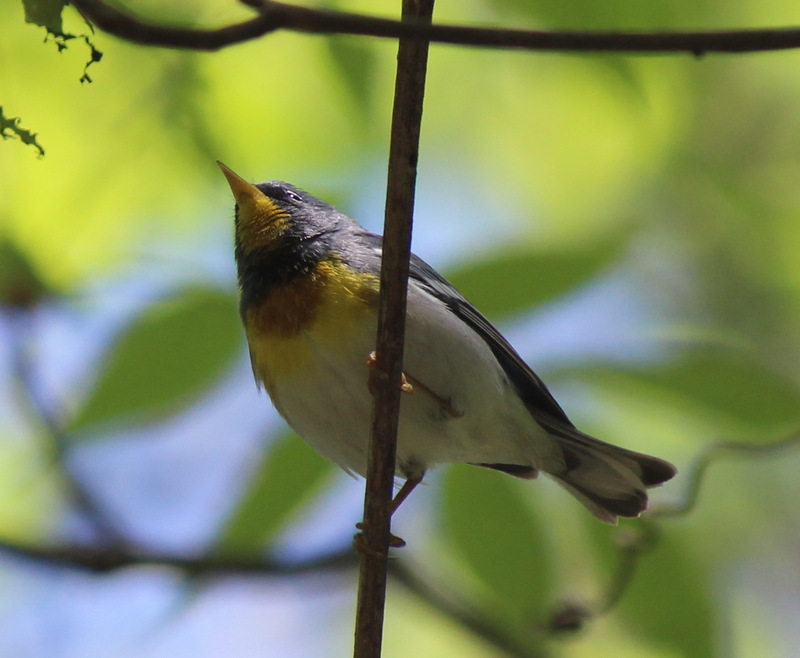 A Northern Parula, Setophaga americana watched us walk by from his mossy perch. 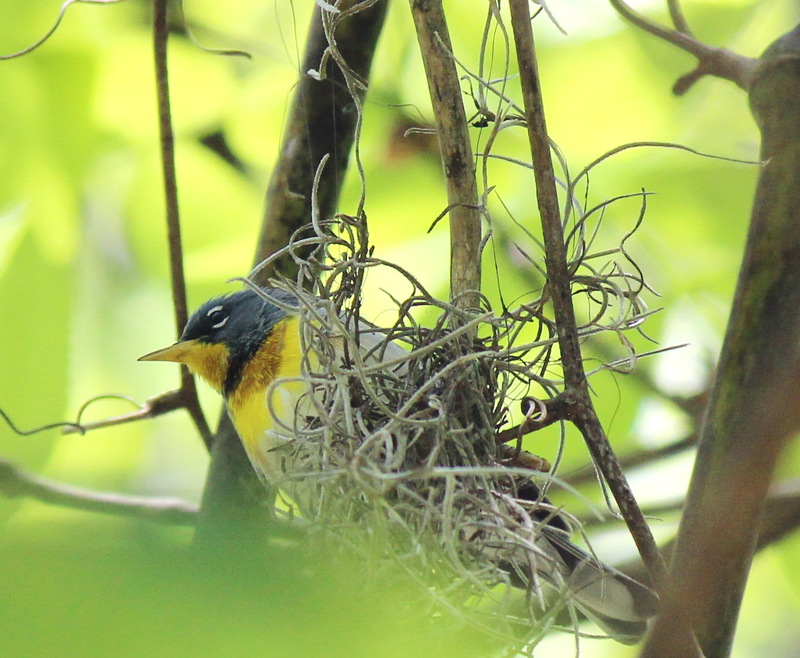 This species is common here during late spring and summer, arriving for breeding season from wintering grounds in Central America. We don’t see them in our yard because it is not low or wet enough, and we have very little of the Spanish Moss, Tillandsia usneoides, it prefers for nesting material. Nearby we found a caterpillar of what we think is a Half-wing Moth, Phigalia titea on the underside of a young oak – not sure which species. An easy lunch for the mostly insectivorous Parula? !